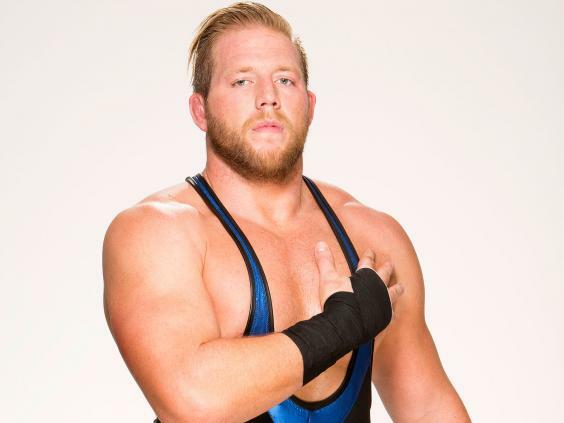 WWE Superstar Jack Swagger recently spoke with Music Recall Magazine while on the road with the WWE from Birmingham, AL. Check out MRM’s exclusive interview with Swagger below. WWE Monday Night Raw will be at the Bon Secours Wellness Arena in Greenville, SC on Monday, November 4 at 7:30pm. It will be for the live worldwide television broadcast of Raw! MRM: Can you tell us about your time with the Oklahoma Sooners and being an All-American? Swagger: Yeah, what an experience it was to be a part of such a storied program. I remember still to this day when I signed back in 2001 with Oklahoma. It was very surreal, I couldn’t believe it, and they had just won the national championship. And I was one of three defensive tackles that they were bringing in that season as far as their recruiting class. So they were really counting on all of us to come in and contribute right away, which was pressure but at the same time as a player, that’s what you want. And I think a lot about who I am today from that program, from the coaches, and what all I learned there, as far as what it takes to be successful; the hard work, and what you have to do to get what you want in life. But overall, it’s in a great city; great part of Oklahoma, and it was just a very positive experience. MRM: How did you become a wrestler? Swagger: Three years into my college career playing football, the heavyweights for the Oklahoma Sooner wrestling team became academically ineligible, and this was in 2003. We had just won the Rose Bowl and beat Washington State. And our season was done, and we had a couple of months off before we started doing spring practices. And I was home, after the bowl game, and I got a call from Jack Spates, who was the head wrestling coach, who explained the situation to me. I had offers out of high school to wrestle or play football. He explained the situation, and they really didn’t have any backups. You know, wrestling has always been my first love. I’ve done it since the age of five, any form of the sport I could get my hands on. I idolized my two older cousins who went to the National Championships, who were a lot older than me, I grew up with two sisters, so they were like brothers, and they liked wrestling with me. So I kind of jumped at the chance to try it out at such a high level, Division-I college wrestling in a very tough conference. So I switched over to wrestling. MRM: Was it easy to make the transition from football to wrestling? Swagger: It was tough because I was doing both sports on top of juggling a business/finance major. The toughest part was the different types of conditioning: football is 15-second bursts that you train for, whereas college wrestling was like seven minutes nonstop pulling on your body. That was the hardest part, to switch your body around in training. MRM: In the WWE, you won the World Heavyweight Championship back in 2010. Was that a special time in your life? Swagger: Absolutely. It’s such an honor to be considered a former World Heavyweight Champion. It’s very humbling in my eyes because if you look at the names that you join, just to be a part, to be mentioned next to them is unbelievable. It’s one of those moments that you take with you the rest of your life anywhere you go. No matter what happens, I will always be a World Champion. MRM: How did Zeb Colter become your manager? Swagger: It’s a cool story. We were a couple weeks out from the Elimination Chamber in 2013. And we were in Nashville for a Raw TV taping, and Zeb lives in Nashville, and we knew we wanted another character to go along with the storyline. Triple H had an idea to bring him in, and he came in. He started discussing some ideas, and he did a couple promos on tape and Vince and Hunter just loved it. It was very meant to be. He already had the mustache and fit the character to a T.
MRM: I’ve read where Zeb Colter is originally from here in South Carolina (Walhalla). Is this true? MRM: How did Antonio Cesaro become a “Real American” and your tag team partner? Swagger: Antonio is a great competitor, a great technical wrestler and a very smart individual to go along with it. He immigrated to the United States the correct way: filling out the right paper work and paying his taxes. And as a Real American that’s all we ask for. He’s an example of what we want all immigrants to do in this country, storyline wise. I injured my hand; I severed two tendons in my thumb back in May. So I was off TV for a little bit, and Antonio came along. And him and Zeb had a real good bond. The rest is history. I came back from surgery, and we’re off to the races. We have great rapport with each other, work very well with each other and complement each other very well. MRM: Is your future in singles or tag team competition? Swagger: Both. I love tag team wrestling. I love working with Zeb and Antonio, I think we’re a great team. Singles is a lot of fun too. I think deep down I’ll always consider myself a singles wrestler. But tag team wrestling is a whole different animal, and I love the challenge of it, I love being the heel and getting away with stuff behind the ref’s back. Just the extra two people in the ring brings a different dynamic to the match that anything could happen. And it really intensifies things and really forces you to stay focused and keep your head on a swivel. Because you never know what could happen in a tag team match, which is very exciting in my eyes. MRM: What can fans expect in Greenville, SC when Monday Night Raw rolls into town? Since the WWE is the best value in entertainment. Swagger: Well, the best thing about the WWE, as I always say, is you never know what you’re going to get. You know you’re going to come and your socks are just going to be blown off. You are going to be completely entertained, but at the same time you have no idea what to expect. So you are constantly on the edge of your seat. I feel the WWE does a great job of centering its entire show around the participation of the audience. So the more they are involved, the louder they get, the better the show is. And you just throw in great wrestling, great athletes, beautiful women, rock and roll music, and pyrotechnics. And it’s almost overwhelming how much fun it is. It’s going to be a great show top to bottom. I love coming to South Carolina. It’s a great wrestling state, and the fans are going to enjoy it. MRM: Thanks for calling Mr. Swagger and see you in Greenville on November 4! Swagger: Thank you very much for your time. I’m looking forward to it. Read our other interviews with WWE Superstars:Kofi Kingston, Cody Rhodes and Titus O’Neil.